Using the solution, you can orchestrate not only your customer-­‐facing processes but also manage your internal processes such as Territory Planning and Account Planning. You can even build smaller journeys within the overall customer lifecycle such as On-boarding. The Sugar Customer Journey solution enables you to choreograph every interaction your customer relationship professionals have with your customer and supplier stakeholders. You can also track your customer’s progress through the evaluation, selection, purchasing and onboarding steps of their journey with you. By automating these business processes using your existing Sugar deployment, you ensure everyone is working together and is informed about what actions to take at every step along the way. The result: you accelerate the customer’s progress, deliver improved satisfaction and enable your employees to stay on top of their game. It’s a win-win for everyone. Let’s say you’ve mapped your customer journey. 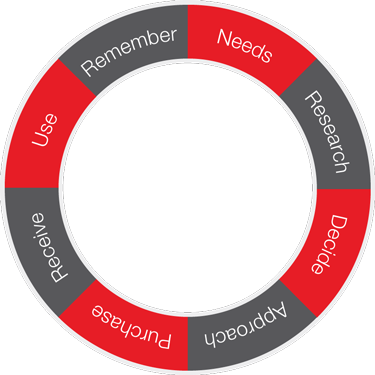 You incorporate best practices when defining the various activities spanning all stages within the journey. But how can you turn your understanding into improved business performance? 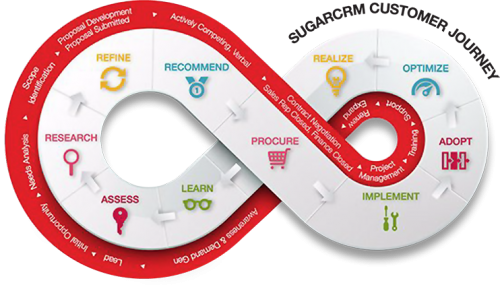 This is where you leverage the power of the Customer Journey solution. Using Sugar’s workflow, you can now automate various business processes to improve your customer experience and satisfaction while accelerating their progress through the decision cycle. Each process is assigned to the right employee so that everyone can view and take the necessary action across any device. You empower your employees to be always in the know and drive activities that meet your customer’s needs. Now that’s powerful.